With its delightful foliage, the wide berths and the quality amenities on offer, you will soon feel right at home at our caravan park. Each resident has a good size private ground with a flawless lawn. And although there is plenty of space and peace and quiet on offer, Ter Duinen has very modern convenience in store, enabling you to spend your holidays, weekends, and days off in every comfort. Underground, each permanent berth is connected to the water, power and sewage mains as well as a central antenna (cable). You can park your vehicle in your private parking space. In terms of leisure facilities too, Camping accommodation park Ter Duinen offers a wealth of options, just waiting for you. The adjacent Recreation park is not only home to a subtropical swimming pool, it also hosts a range of different sports facilities. For day trips too, you will be pleased to learn our central location places you right at the heart of the Bruges – Knokke – Ostend triangle. 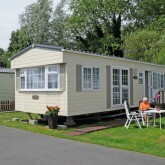 In addition, Camping accommodation park Ter Duinen is well up to speed with the latest information and communication technology. In 2007, we invested in a brand new computer complex. Notebook users too can take their personal equipment into the new building to log on to the World Wide Web. At Ter Duinen, keeping up to date with your e-mails has never been easier. 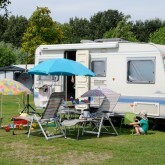 Tourist campers, whether sleeping in tents or caravans, will find similar comfort at Ter Duinen. Spacious, well kept berths and all luxury sanitary facilities there to be used. Come and see for yourself. 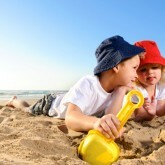 There is no doubt that you will enjoy your stay at Camping accommodation park Ter Duinen to the full. 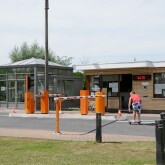 There is no doubt that you will enjoy your stay at Camping accommodation park Ter Duinen to the full. Come and see for yourself. 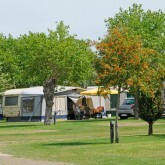 Camping accommodation park Ter Duinen is well worth the trip!